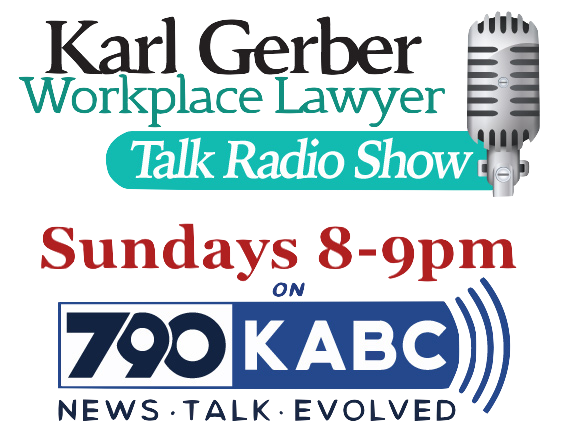 Firm Founder, Karl Gerber, has been an employment discrimination attorney since 1993. He has represented a wide range of employees, throughout California. He has won 46/48 of the binding arbitrations and jury trials he first chaired. A number of his appeals are published. The discrimination attorneys employed by the Employment Lawyers Group have worked at the firm well in excess of five years, have also tried employment cases, and have all been extensively trained on employment discrimination by Karl Gerber. A very large percent of our employment cases involve a discrimination component. We have considerable experience proving discrimination under the applicable legal principles. Our discrimination attorneys also have a pulse on what it takes to win a discrimination case. If you believe your employment decision may have been motivated by discriminatory animus, Call 1-877-525-0700 for an experienced discrimination attorney. Pinedo v. Premium Tobacco, 85 Cal.App.4th 774, 102 Cal.Rptr.2d 435 (2000) was an ancestry discrimination case involving an American Indian. Important employee rights in employment arbitration were decided for the employee in this appeal. Boonyarit v. Payless Shoesource, Inc., 145 Cal.App.4th 1188 (2006) involved a fight against allowing a large corporation trying to take advantage of a plaintiff. This appeal shows how Firm Founder, Karl Gerber, will not let an injustice exist no matter how small. Young v. Exon, 167 Cal.App.4th 1467 (2008) stands for the proposition winning defendants in employment discrimination cases under FEHA must actually have incurred attorney fees for the court to consider the issue of reversed attorney fees. Sparks v. Vista del Mar Child and Family Services, 207 Cal.App.4th 1511 (2012) stands for the proposition that employees cannot be forced to arbitrate employment disputes if they did not knowingly agree to do so in writing, with their signature. Alamo v. Practice Management, 219 Cal.App.4th 466 (2013) involved the largest issue to be decided in employment discrimination in at some decades which involves the standard for winning an employment discrimination case. This case was a pregnancy discrimination case that was won by Karl Gerber, but which the employer appealed claiming one word in a jury instruction was wrong. Vasquez v. Franklin Management, 212 Cal.App.4th 819 (2013) involves the important rights of low wage employees not to have to pay employment expenses without reimbursement. Our discrimination attorneys have handled hundreds of employment discrimination cases. If you believe your job was terminated due to discrimination, contact our experienced employment discrimination attorneys at 1-877-525-0700. All of our discrimination cases are taken on a contingency. This means you do not pay any legal fees upfront. It also means our law firm advances all case costs. In Los Angeles County we have offices in downtown Los Angeles, Sherman Oaks, and Gardena. We also maintain offices in Oxnard, Tustin, Riverside, Bakersfield, San Diego, San Francisco, San Jose,and Sacramento. Although we are very busy California discrimination attorneys each case is handled through a team involving discrimination attorney Karl Gerber and one of our firm discrimination attorneys. We are not a cookie cutter firm, and look upon each case as a unique privilege to help an employee while figuring out how to prove their employment discrimination case.